With the sukkah put away and the kids drifting off to sleep, I finally have time to share about how our holiday was. We spent every day creating memories and having the most loving family togetherness moments possible- and y'all know how valuable and meaningful family time is for us. 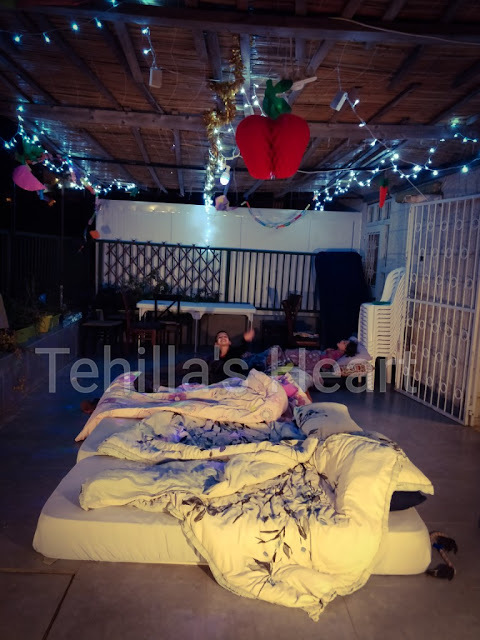 This was the first year that we felt Tehilla was stable and strong enough to endure sleeping outdoors in the sukkah with Jerusalem cold nights. We all dragged our mattresses and as many blankets as we owned outside and had the most magical family filled glamping experiences possible. No one was left out- Sammy the puppy and Hunter the cat slept alongside (or sometimes on) us. And once again, we were reminded and thankful of the miracles G-d has gifted us. Of the truly blessed existence we have and how amazing it was to see our half hearted warrior princess roughing it in the elements. Her lips weren't even purple! A luxurious (for her) shade of pretty pink! One evening, our rambunctious 4 year was - ahem- streaking through the sukkah, while I pleaded for some bare minimum clothing. 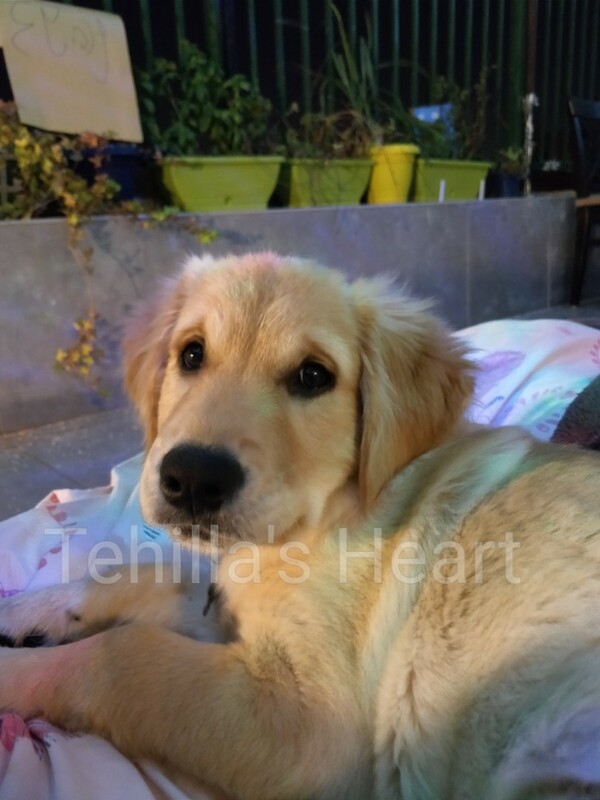 I yelled, "Tehilla! You're turning a bit blue! Get some clothes on!" She shrugged her naughty little shoulders and yelled back, "So what! I don't want to! I'm fine!" I thought to myself, "You are...you are totally fine...what a miracle..." I still demanded some form of basic decency- miracle or not. We enjoyed a Shabbat of the entire extended family and a community BBQ. All 3 kids have spent the past 48 hours fighting a stomach bug, but they are improving. I'm sad this holiday has ended. It was an incredible experience and it left us all with some treasured memories. Now back to regular routines and the miracles of daily life. 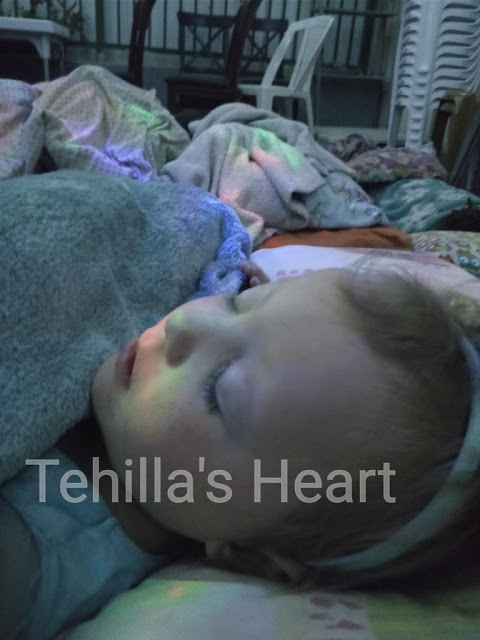 I am so thankful that little Tehilla is doing so well. B'H!!!! !